The Red Hat Access Plug-in allows you to use Red Hat access services from the Red Hat Enterprise Virtualization Administration Portal. You must log in using your Red Hat login credentials. The Red Hat Access Plug-in detects when you are not logged in; if you are not logged in, a login window opens. Red Hat Enterprise Virtualization Administration Portal credentials are not the same as a user's Red Hat login. 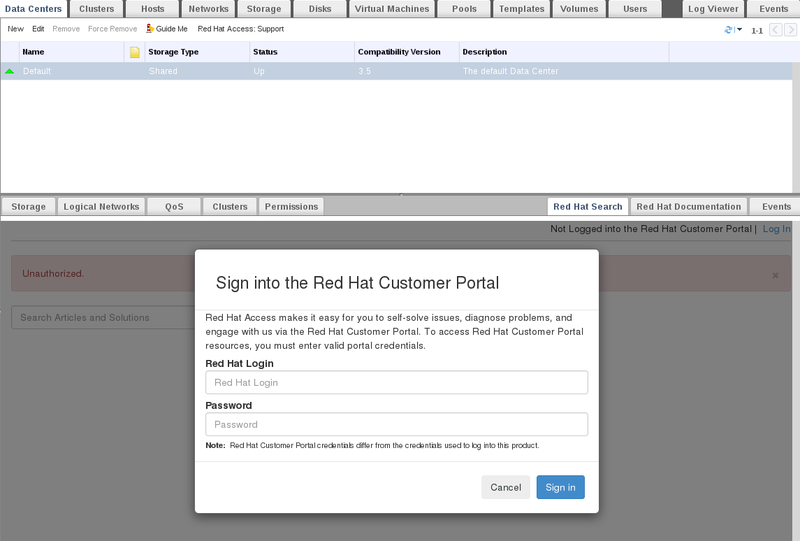 After logging in, you will be able to access the Red Hat Customer Portal. 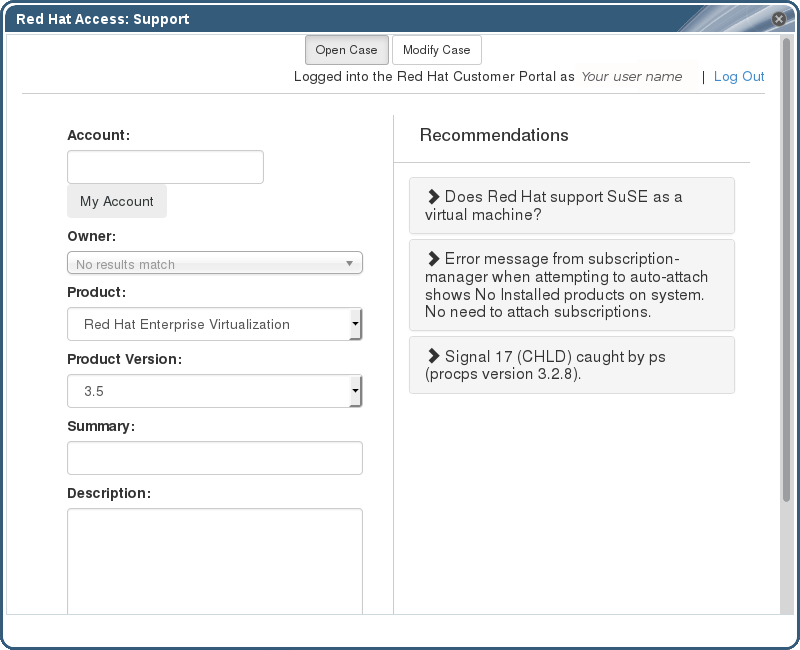 Red Hat Support Plug-in is available in the details pane as well as in several context menus in the Red Hat Enterprise Virtualization Administration Portal. 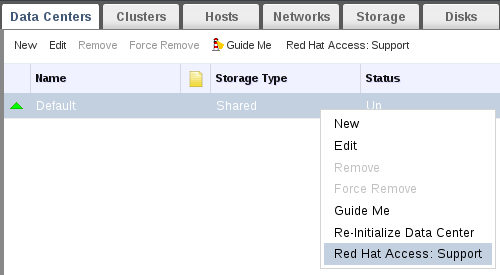 Search the Red Hat Access database using the Search bar. Search results display in the left-hand navigation list in the details pane. 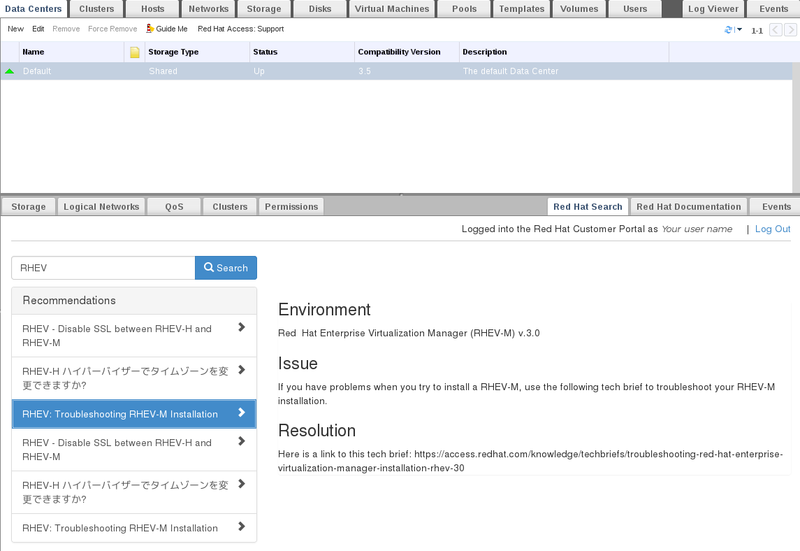 Right-click on context menus in the Red Hat Enterprise Virtualization Administrator Portal to access the Red Hat Support Plug-in. Open a new support case or modify an existing case by selecting the Open New Support Case or Modify Existing Case buttons. 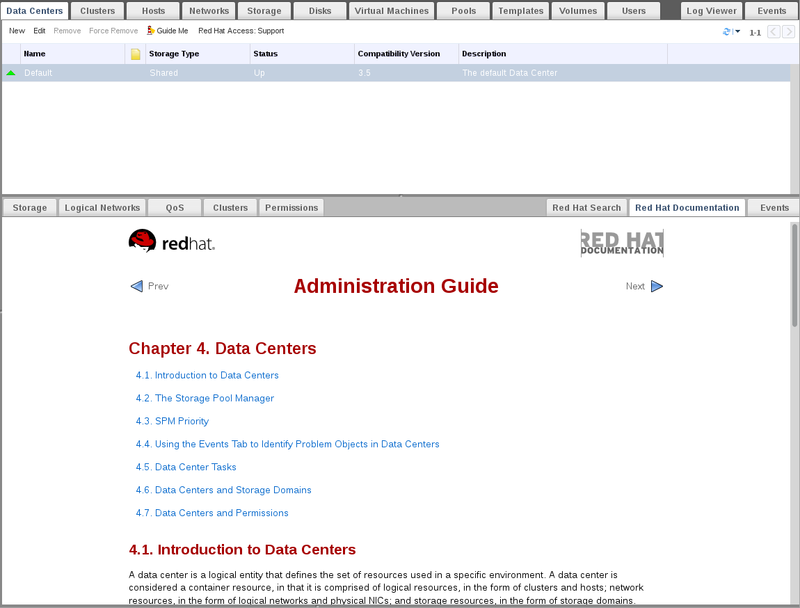 Select the Red Hat Documentation tab to open the documentation relevant to the part of the Administration Portal currently on the screen.